HOW SERIOUSLY DO WE AMERICAN JEWS take the cause of human rights? From Kosovo to China, from Jerusalem to Philadelphia, there are causes aplenty to catch our attention and spur our outrage. The problem we face is separating the real human-rights causes from political propaganda. And that is something that is getting harder these days. For the American Jewish community, which has always taken the biblical injunction not to stand by idly while our brother's blood is shed as a call to defend all persecuted peoples, sorting out these issues is a special priority. Yet when it comes to some obvious human-rights abuses, none of us, including Jews, seem quite so eager to charge to the rescue. Take the case of China, for example. China has changed dramatically in the past decade, but it is still the world's largest tyranny, with few rights for its citizens. 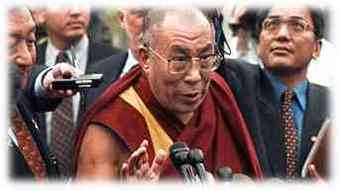 In China, supporters of democratic reforms and religious believers are routinely persecuted and jailed; the people of Tibet are further subjected to cultural genocide. China also has its own thriving version of the gulag, called the laogai, where untold numbers of sufferers languish. Yet despite the fact that the world's most populous country is a cesspool of human rights abuse, America has yet to find its voice on the subject. China-appeasing, pro-business lobbyists (such as former Secretaries of State Henry Kissinger and James Baker) and the Clinton administration have easily defeated or rendered harmless every attempt to link meaningful trade sanctions to human rights. The Beijing regime has cracked down even harder on political dissidents and religious believers in the months following President Clinton's disgraceful trip to China last year. Even as reports flow in of worsening conditions, few are willing to speak up about the issue. Maybe it has something to do with the fact that many of us seem increasingly unable to make moral distinctions between two different kinds of nations: governments like China's, where injustice rules, and those imperfect democratic countries such as the United States and Israel, where abuses can exist despite the rule of law and respect for individual rights. While all abuses - whether it is a case of an innocent person mistakenly gunned down by police in New York City or one of Palestinian Arab terror suspects who are brutalized by Israeli police - deserve our attention and exposure, a big difference exists between those cases and the laogai. In Israel and the United States, no matter how badly authorities may act, victims still have recourse to an independent judiciary and a democratic legislature to redress their wrongs. Too often those moral distinctions are being lost in the general din of human rights rhetoric. Take the much-honored Amnesty International group. In the case of China, Amnesty has been an indispensable source for those of us who have followed events there. But can outrage against China be sustained when so much of Amnesty's energy is lately being expended on what its officials consider human rights abuses in the United States? Even worse, when Amnesty lends its reputation to bogus causes - such as the campaign on behalf of Mumia Abu Jamal, Philadelphia's celebrated cop-killer - one has to wonder. The movement to free the former Black Panther - who was convicted on the basis of overwhelming evidence of murdering police officer Daniel Faulkner in 1981 - is a caricature of what rights advocacy can be reduced to when leftist politics and celebrity endorsements are set against common sense. When some use the title "political prisoner" for the likes of a killer like Abu Jamal, how can we then use the same term when referring to heroic Chinese democracy activists like Wei Jingsheng? In the case of Israeli human rights cases, there is often an equal loss of perspective. Last month, a Boston-based interfaith alliance of American clergy calling itself the Search for Justice and Equality in Palestine/Israel spoke out against what the clergy say were violations of Palestinian Arab rights by both the Palestinian Authority and the State of Israel. The group of 1,000 Christian, Muslim and Jewish clerics was attempting to be evenhanded when it denounced Israel and the P.A. with equal ardor. But any group that cannot make a distinction between a corrupt authoritarian regime like Yasser Arafat's P.A. and the democratic State of Israel has lost its moral compass. Unlike some friends of Israel who prefer to ignore the issue, I happen to agree that the routine use of torture by Israeli security forces against terror suspects is a danger to Israeli democracy. Though police have a duty to use any and all measures to gain information on pending terror attacks, "physical pressure" against suspects is far too widespread and cannot be isolated from the rest of the Israeli criminal-justice system. That's why Israeli courts have taken a serious look at the issue and - I hope - will eventually eliminate the practice. These cases must also be seen in the context of a nation that has been under constant attack from terrorists with safe havens in P.A.-controlled land. Moreover, when groups such as the American clergy coalition condemn the existence of Jewish communities in Judea and Samaria as a human rights violation, they lose all credibility. As Jews and concerned citizens, we have an obligation to speak out against human rights violations wherever they occur. But when we speak of the imperfections of democracies in the same breath as the routine cruelties of anti-democratic tyrannies, we can turn the struggle for human rights into meaningless politics. That's a mistake civilized people - and Jews in particular - cannot afford to make. 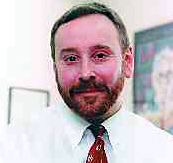 JWR contributor Jonathan S. Tobin is executive editor of the Philadelphia Jewish Exponent. 01/14/99The Good, the Bad and the Ugly: Have American Jews finally arrived? 12/30/98 Memo to Bubba: Israel ain't Monica, keep yer hands off! 10/23/98: American Jewry: Ethnicity or faith? 8/21/98: Is 'Jewish journalism' an oxymoron? 6/12/98: What price Jewish education?